Have you ever played or heard of frontline commando series game? If nope, then today I want to let you know that it's one of the best third-person shooter/action games for Android device. Frontline Commando 2 is basically one of the popular shorter games on Android phone with a large arsenal of different guns and explosives to use in missions. The technical presentation on Frontline Commando 2 is very impressive. It's also of the best HD games free download for android. 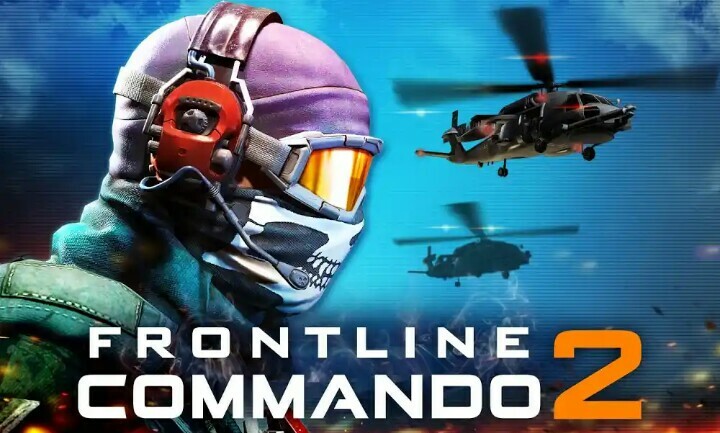 Frontline Commando 2 is an open world game that allows you to assemble your elite squad, dominate action packed campaigns, battle for online PVP supremacy, shoot, walk, and command advance weaponry. You can also recruit and train soldiers and lead the ultimate war team to the battlefield! Choose from 65 possible unique squad members, from sharpshooters to medics. The gameplay unravels stunning graphics and commands to maximize your firepower with multiple, upgradable weapon classes including sniper rifles, assault rifles, shotguns and machine guns. Utilize special war gear on the battlefield such as drones, grenades and RPGs. Take control of your squad and lead your squad to victory through 40 unique missions and 13 elite challenges, including online PVP. Follow the link below for Frontline Commando 2 Download. 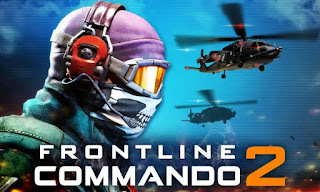 And for those looking for Frontline Commando Mod Apk unlimited gold and money, click on the link provided below to FRONTLINE COMMANDO 2 v3.0.3 Mod Apk for all Android device. The Frontline commando 2 is completely the best shooter, action and hd games free download and I think it's worth recommending.